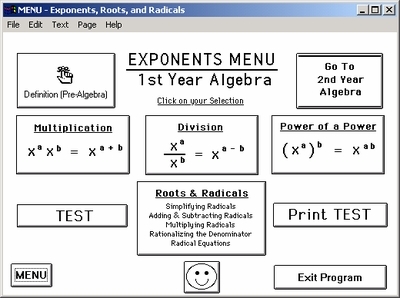 Home > Program 4: "Exponents, Roots, and Radicals"
This is an in-depth instructional program on everything you ever wanted to know about exponents! 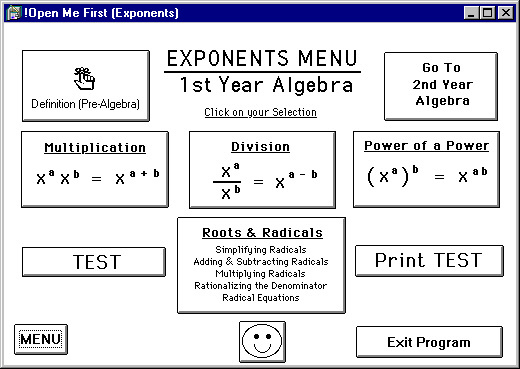 The concept of exponents is introduced with a basic section for the very beginning student. 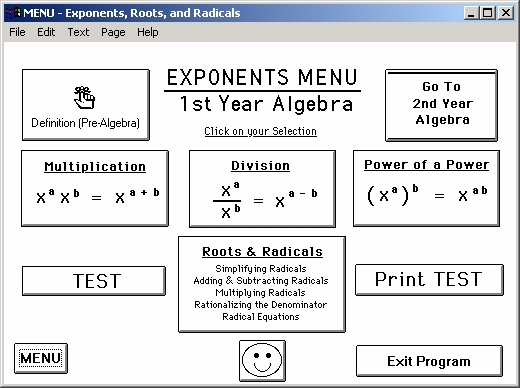 The First Year Algebra MENU contains these topics: Multiplication, Division, Power of a Power, and a sub-MENU on the operations of Roots and Radicals. 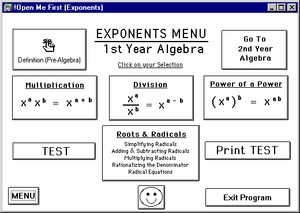 The Second Year Algebra MENU offers instruction and practice on: Negative Exponents, Fractional Exponents, Solving Equations, Imaginary Numbers, Complex Numbers and a separate sub-MENU on Logarithms.